I was going through my photos of my longarm quilting today and realized there are a lot of quilts that I haven’t shared here yet. I’m not exaggerating when I say “a lot”. I am pretty good about sharing photos on Instagram as I’m working on a quilt, but it’s usually only a sneak peek, and I don’t always share every quilt I work on. I need to be better about that, though. 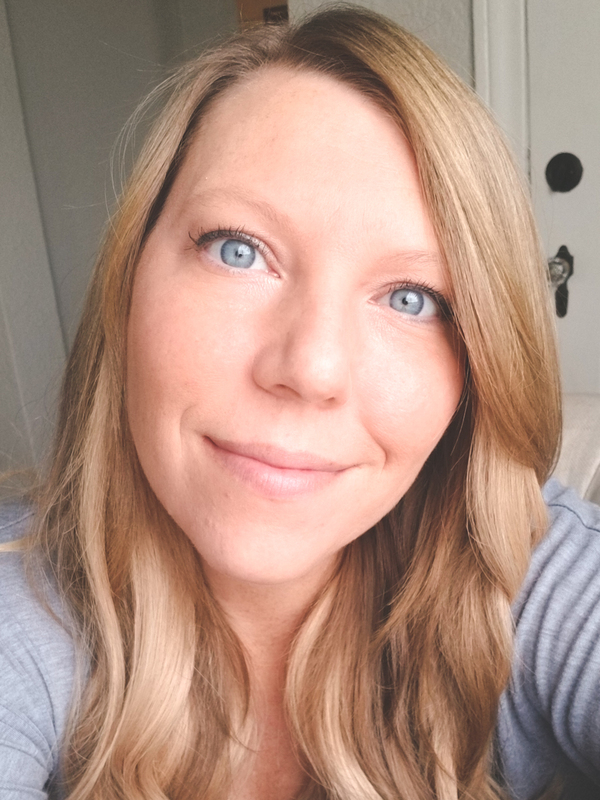 This is my business and how does someone know if they want to hire me for longarm quilting if they can’t see a full range of my work…? 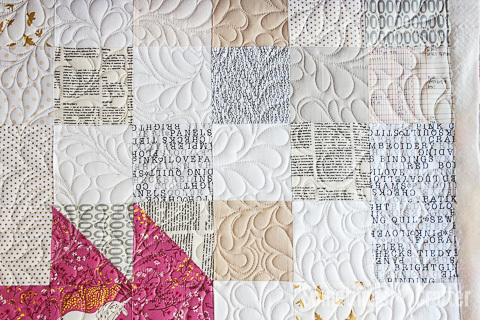 So i’m going to try and rectify that and share some of these beautiful client quilts in the next few posts. 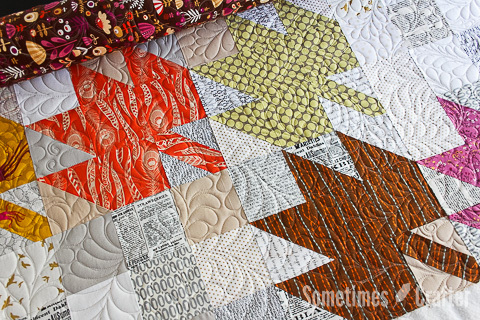 Today I’m sharing a quilt by Darci Yaden that I quilted in December 2014. 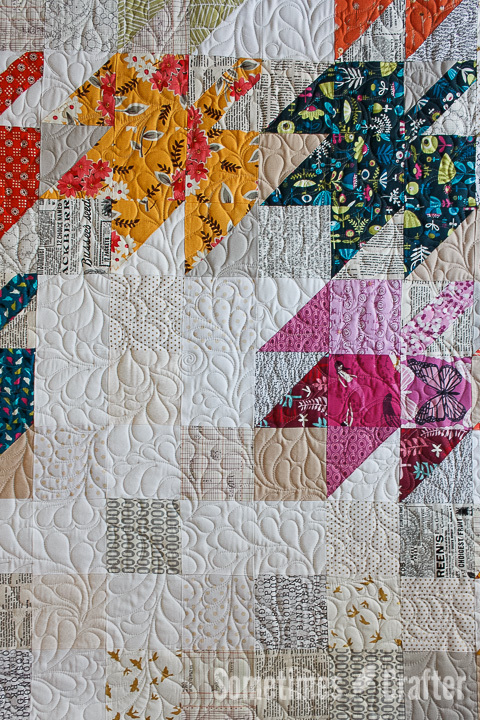 Her quilts are always so vibrant, both in color and style. I always love her fabrics and the patterns she works them in to. Darci and I connected many years ago thanks to quilting blogs, and I am so happy to count her as one of my friends. I’ve quilted for her many times now, and in fact have another of her quilts arriving soon. 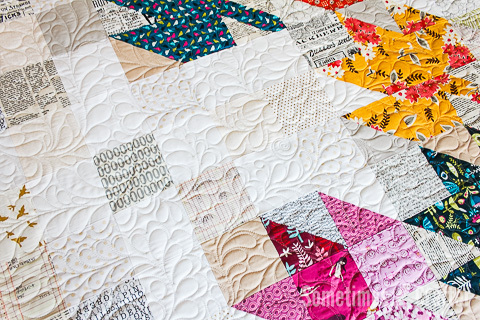 I especially love quilting “modern feathers” on quilt tops, so i’m always happy when that’s what a client requests. 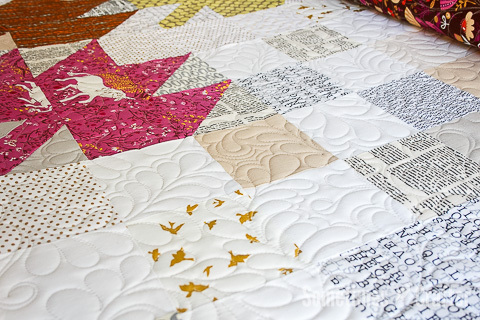 Enjoy these photos of Darci’s beautiful quilt and the modern feathers I quilted for her. 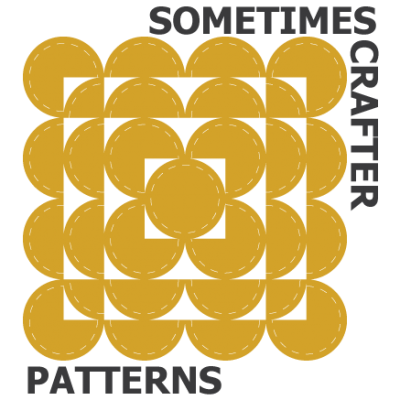 I love the modern approach to this classic pattern. Perfect! What a fantastic quilt!! 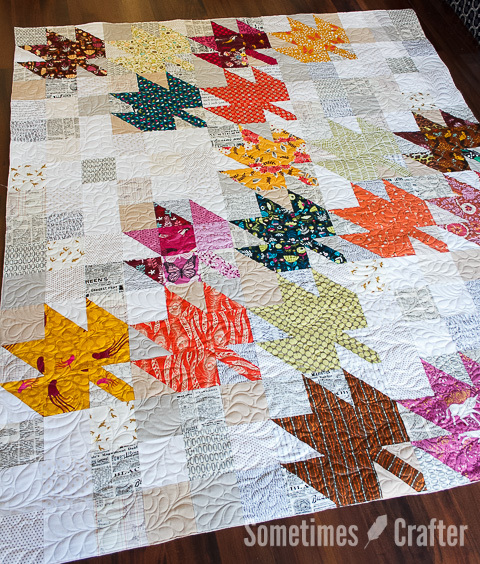 I am going to try making one somewhat like it, not having all of it be maple leaf blocks is so refreshing !